For the delivery of products and services. For the delivery products and services. To protect against fraud or theft. To provide offers that may be of interest or benefit to you. We do not disclose any of your confidential information without your consent and it unless it is necessary for providing our services or if we are required to do so by law. We therefore remain committed to to ensuring that your personal information is secure. Consequently, in order to safeguard against any unlawful or unauthorised access or disclosure of your personal information, we have put in place suitable physical, electronic and managerial procedures to secure the information we collect online. As we continually review and upgrade the procedures and systems we have in place to safeguard your personal information, we ensure the highest standard is maintained to protect your personal information through any password protected access and controlled website servers. However, notwithstanding the high standards and protocols of care that we take with the security of your personal information, we cannot be held responsible for events arising from unauthorised access to your personal information where we have taken reasonable steps. HOW DOES WWW.CREATESIGNS.CO.NZ PROTECT CUSTOMER INFORMATION? When an order is placed, a secure server is used through which the secure server software (SSL) encrypts all information inputted before it is sent to us. This can be verified by checking your browser which will reveal a padlock next to our domain name. We use Geotrust for this service as it is one of the most respected SSL providers.  Despite payment via credit card being the fastest way to receive your order, as there is no clearance delay, www.createsigns.co.nz does not store any credit card information on its servers as all payments are processed securely through (payment gateway name). As is the case with many website operators, we too collect information that your browser sends whenever you visit our website. This is called ‘Log Data’. Such Log Data may include information such as your computer’s Internet Protocol (“IP”) address, browser type, browser version, the pages of our website that you visit, the time and date of your visit, the time spent on those pages and other statistics. In order to continually improve the products and services we provide on our website, we may use third-party services such as Google Analytics to collect, monitor and analyze your activity while on our website. As is the case with many websites, we use ‘cookies’ to collect information. However, as is your right, you may wish to ensure your browser refuses all cookies or to alert you as to when a cookie is being sent. That being said, if you do not accept cookies, you may not be able to use some portions of our website. In order for us to best serve you, we may use your personal information to contact you via the use of newsletters, marketing or promotional material.